What’s so interesting about the land that became the 25th state of the United States of America? Arkansas is a precious gem and her people are uncommon. 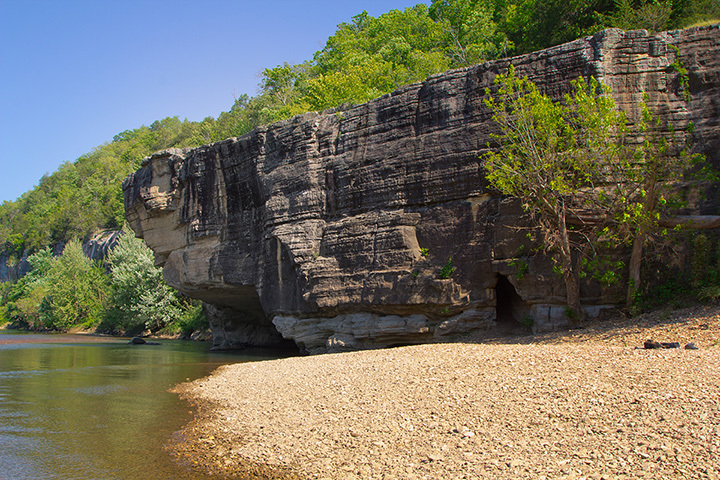 Native and not, you’re sure to learn a thing or two from these 14 fun facts about Arkansas. Arkansas hasn’t always been known as the “Natural State.” The earliest recorded, yet unofficial, nicknames for Arkansas are the “Bear State,” the “Toothpick State,” and “Rackensack.” It wasn’t until 1923 that Arkansas was given an official nickname, the “Wonder State.” However, 30 years later in 1953, the “Wonder State” became the “Land of Opportunity.” Although the nickname was used as early as the 1980s, it wasn’t until the 1990s that Arkansas officially became the “Natural State” that we know today. 2. Get the name right! 3. The most famous Arkansan? William Jefferson “Bill” Clinton, who served two terms as President of the United States, is a well-known uncommon Arkansan. He was born in Hope and bred in Hot Springs, and to date has been the only President from this state. His father died three months before his birth, making Bill one of only three posthumously born U.S. presidents: “Bill” was a Blythe until his high school years when he took the family name of his step-father, Clinton. He is one of only two presidents to be impeached by the House of Representatives and then acquitted by the Senate and he’s also the first Baby Boomer president. If all that’s not interesting enough for your brain to have fun, then add the fact that he is also the only U.S. president with a spouse who also ran for president. Although she lost the race, Hillary Rodham-Clinton, is the only First Lady (or gentleman) to not only campaign for the presidency, but she’s also the only First Lady to serve terms as a Senator from New York and as the U.S. Secretary of State. Arkansas is the only state in the United States that has an active diamond mine. Diggers can not only dig for diamonds but can also keep what they find at the Crater of Diamonds State Park in Murfreesboro, Arkansas. Visitors to the park have unearthed uncut diamonds with rough weights of up to about 40 carats in varying shades of white, brown, yellow, and canary. Diamonds aren’t the only treasure buried in here Arkansas. Quartz crystals, the official state mineral of Arkansas, can be found in plenty in the ancient Ouachita Mountains. Here you’ll not only find many mines that are open to diggers, this mountain range is also where you’ll find Mount Ida, dubbed the “Quartz Crystal Capital of the World.” Geologists agree that outside of Arkansas, Brazil is the only other location in the world where you’ll find quartz crystals of such fine quality. Quartz is believed by many to hold metaphysical properties. Arkansas is one of only three states with a legally distinct type of marriage called covenant marriage. A couple choosing a covenant marriage must first undergo premarital counseling before saying “I do”. In contrast with non-covenant marriages, couples in covenant marriages must abide by stricter divorce requirements. “Calling the Hogs” has been a staple of many an Arkansawyer’s diet since we began eating solid food. But did you know the razorback hasn’t always been the Natural State’s beloved mascot? In 1910, the University of Arkansas student body voted to change the school mascot from “Cardinals” to “Razorback” after a tough game against the LSU Tigers. Hot Springs has always been a popular destination because of its natural mineral springs and bathhouses. Hot Springs is an iconic Arkansas city that was once run by the local postmaster’s son-in-law, Owen Madden. On the surface, Hot Springs sounds like an old-fashioned slice of heaven. That perception changes with the mention that the man running this city was an exile from New York known as “The Killer.” For decades, many folks enjoyed participating in the city’s well-known illegal activities, like gambling and prostitution. Before we had Las Vegas, we had Hot Springs. In 1987, both houses of the Arkansas General Assembly adopted four songs to officially represent the Natural State: An official state anthem, an official historical state song, and two official state song. 10. When Arkansas joined the U.S.
On June 15, 1836, just shy of the 60th anniversary of the signing of the Declaration of Independence, Arkansas became the 25th state of the United States. Almost 25 years later, on May 18, 1861, Arkansas, as a slave state, became the ninth of 13 states to secede and join the Confederate States during the American Civil War. Arkansas was restored to the Union on June 22, 1868, just a little over seven years after its succession. Covering more than 2.9 million acres of Natural State land, there are three National Forests living in Arkansas by the names of Ozark, St. Francis, and Ouachita. 12. What makes up Arkansas? Arkansas has six geographic regions that span its borders: the Ozarks, the River Valley, the Ouachita’s, the Delta, the Timberlands, and Central Arkansas. There are 52 state parks within these six regions, not quite enough to place a state park in each of Arkansas’ 75 counties. Arkansas is the proud home of seven national park service sites: The Arkansas Post National Memorial, the Buffalo National River, the Central High School National Historic Site, the Clinton Birthplace Historic Site, the Fort Smith National Historic Site, the Hot Springs National Park, and the Pea Ridge National Military Park.